We will be able to support your BODy Node as soon as you complete this form. You should have received a "BODy Node CODE" when you completed your Node Intake form. If you did not see it, please check your spam folder. The subject line was: "CONNECTED Node Confirmation and NEXT STEP"
Congratulations!! 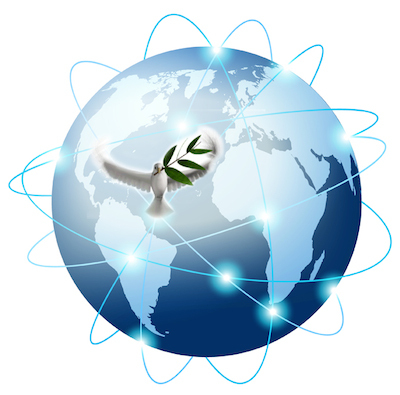 Thank you for your willingess to start a new node in support of the Peace Day Wave and UNIFY Moment of World Peace!! Please complete & submit the following form to notify us you are ready to GO LIVE! Please copy & paste the template below. Replace "(YOUR NODE)" with your nodes name, and then 'text' it to all your Relays so they can copy it into their "Notes" app. for a 'Minute of Silence/Moment of Peace' at 12 Pacific. When you click "READY to Go" below, we will begin sending your Relays their reminders by tomorrow. Our goal is for them to be received by 11:54 AM Pacific so they can forward onto your Group. (Texts will stop on 9/21/2014).